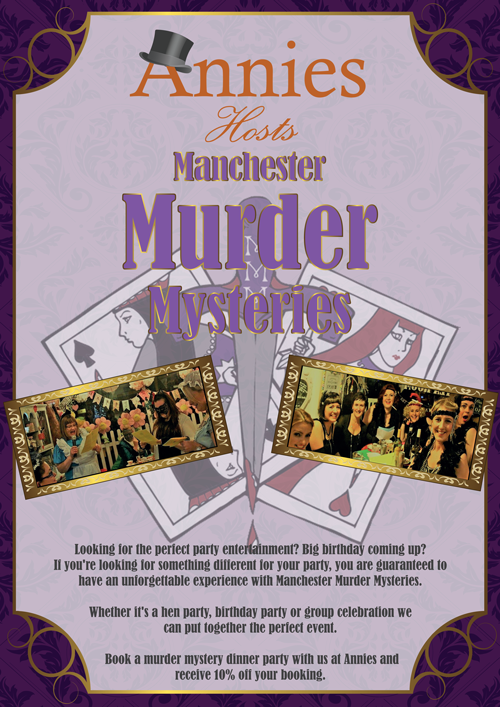 > News > Content > Event management > Murder mystery tea party – Delicious and deadly! 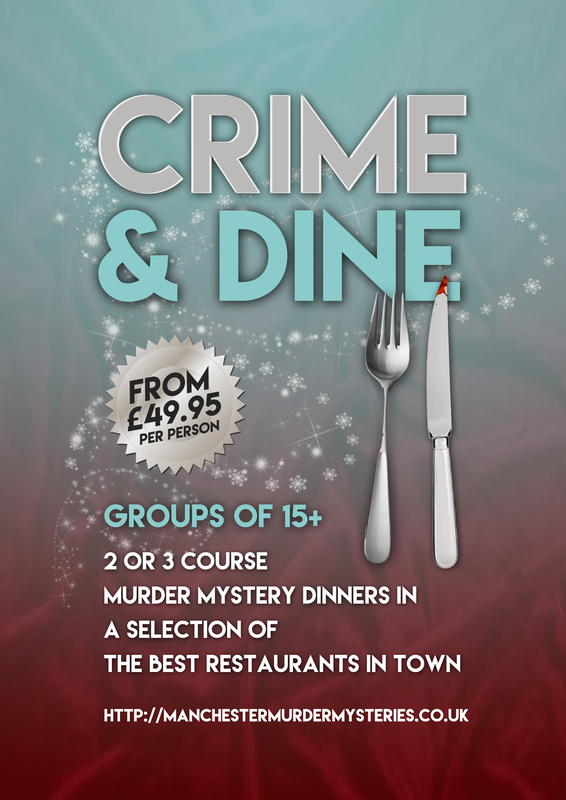 Murder mysteries don’t have to be accompanied by a three course dinner. We’re finding that a murder mystery tea party hits the spot with our hen parties and birthday celebrations. They’re delicious and deadly, making them a perfect combination for a memorable party. 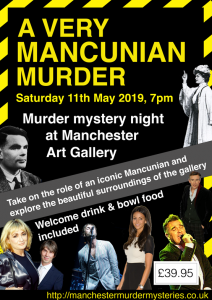 A murder mystery tea party offers a lighter alternative to the murder mystery dinner that can be enjoyed at lunchtime, in the afternoon or in the evening. With options such as a themed Alice in Wonderland afternoon tea or a Tipsy Tea Party with prosecco, we have something to suit every taste. We only host our fresh and funny murder mysteries at venues that are known for their style and service. While playing their characters and laughing at the clues, our guests enjoy only the best quality refreshments over a tipple or two as they catch a killer. Our murder mystery teas are available in Liverpool, Blackpool and Manchester at some of the most unusual and exclusive venues in town. With sumptuous silk covered club chairs, Persian rugs and its own piano, come with us to The Tea Parlour in Liverpool. Our ‘Clue Done It’ theme fits in perfectly at this hidden gem, where you can enjoy warm scones and dainty pastries. Marvel at the perfectly themed furnishings at Alice’s Tearooms in Blackpool as you join Alice and her friends for a Mad Hatter’s tea party you’ll never forget. Our ‘Malice in Wonderland’ themed murder mystery goes down a treat here. We know the password that will gain you entry to speakeasy The Fitzgerald in Manchester’s Northern Quarter and Heaton Moor. 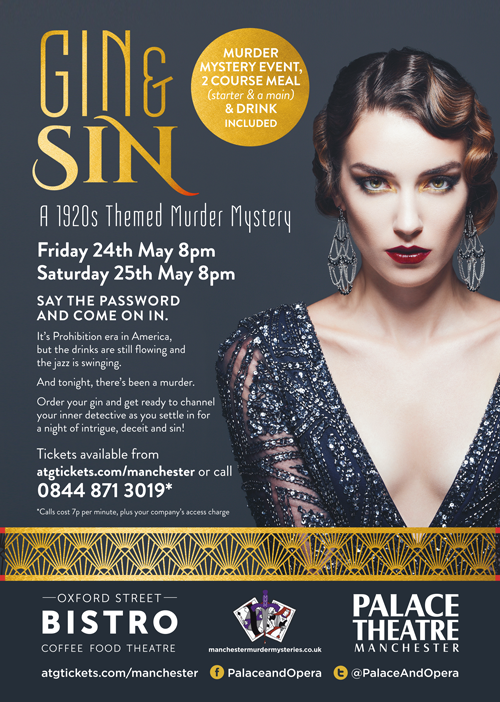 A Tipsy Tea Party is the perfect accompaniment to our famous ‘Gin & Sin’ 1920s themed murder mystery. Sound like your cup of tea? Contact us and we’ll make arrangements. Prefer a glass of wine over a cup of tea? Check out our Wine and Crime party package.